With the rising number of patients being diagnosed with mesothelioma, the general public has grown exceedingly concerned. As well they should. Mesothelioma is a lethal and often fast-acting cancer with very few warning signs. It is caused unequivocally by asbestos exposure. Whether or not you or someone you know has contracted mesothelioma, you should be aware of the signs, symptoms, and risk factors. Use this guide as a resource, and if you have been exposed to asbestos and diagnosed with mesothelioma, contact a mesothelioma lawyer in NC. The asbestos attorneys of N.C.- based Ward Black Law can answer your questions and review your case for potential litigation. Call 336-333-2244 or 1-877-256-1214. 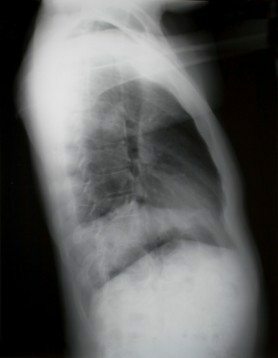 Pleural Mesothelioma: the most common form, accounting for approximately 70% of all those afflicted. Occurs in the pleura, or the lining of the lungs. Peritoneal Mesothelioma: occurs in the peritoneum, or the lining of the abdominal cavity. Pericardial Mesothelioma: occurs in the pericardium, or the lining of the heart. Mesothelial cells are responsible for protecting the organs and assisting in their general function. Lubrication from mesothelial cells is essential to free movement in the body and especially important for things such as the contraction/expansion of the heart, lungs and stomach. When the mesothelial cells become malignant, they produce excess fluid, which, once aiding the body’s movement, now makes that same internal motion severely painful and uncomfortable. When they are inhaled or ingested, asbestos filaments lodge in the mesothelium and inflame those tissues, causing a disruption in organ function, which can lead to mesothelioma. Follow this link for more information or questions about asbestos. 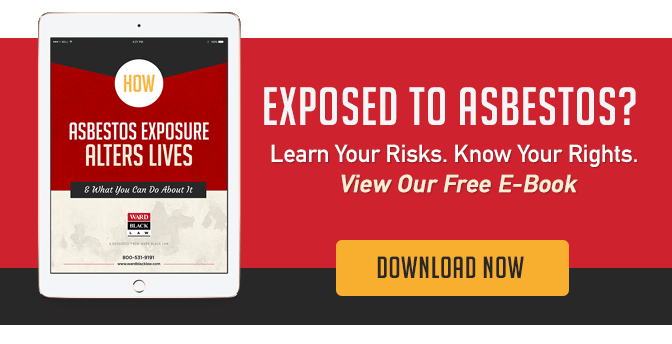 Workers who used asbestos products in construction and other industries, including electricians, plumbers, boilermakers, carpenters, mechanics, firefighters, machinists, etc. Military Veterans from the Army, Navy, Air Force and Marines. Asbestos was especially prevalent at Norfolk Navy Shipyard, Brooklyn Navy Yard, Philadelphia Naval Shipyard, Long Beach Naval Shipyard and Hunters Point Naval Shipyard. 9/11 first responders, clean-up crew and Canal Street residents. Spouses and family members who had secondary contact with exposed workers’ clothes, equipment, etc. Mesothelioma is difficult to detect due to its long latency period; it can lie dormant for several decades before an individual presents with symptoms. When symptoms do occur, they are usually subtle, mistaken or dismissed as everyday ailments. They include lower back, side and chest pain, discomfort, breathlessness, difficulty swallowing, persistent coughing, fever, weight loss and fatigue. More rarely, patients experience muscle weakness, loss of sensory capability, coughing up blood, hoarseness, and swelling of the face and arms. There is no cure for mesothelioma, but treatment exists to prolong the life of the patient and manage the disease. Treatment options include surgery, chemotherapy, radiation and some unconventional therapies. A combination of Alimta® and Cisplatin is the only FDA-approved chemotherapy regimen, but clinical trials studying the effects of Gemcitabine and Onconase are currently underway. These drugs show promising results in certain cancer patients. Seeing a reputable and knowledgeable doctor is paramount to effective treatment. Most likely, your primary care doctor will refer you to a physician specializing in the diagnosis and treatment of mesothelioma. Follow this link for help finding a mesothelioma specialist near you. *Ward Black Law does not endorse content on third-party websites. If you or a loved one has suffered from Mesothelioma, you may be eligible for compensation. Manufacturers knew as early as the 1920s that asbestos was dangerous, but they continued to produce, distribute and supply asbestos-containing products. The government began limiting its use in the 1970s. Even though asbestos is no longer widely used, new patients are still being diagnosed because of the cancer’s long latency period. And Ward Black Law continues to fight for your legal rights. Our mesothelioma lawyers possess more than 20 years’ experience settling and litigating claims for asbestos cancer. They have successfully represented more than 800 people with asbestos diseases, including lung cancer, many of whom worked in power plants in North Carolina and South Carolina. Contact an asbestos attorney at Ward Black law today for a free case evaluation!